When booking your golf vacation, one of the most important decisions that you will make is your accommodation rental. At Myrtle Beach Golf Authority, we have a direct connection with Elliott Beach Rentals, and can offer hundreds of vacation properties at a discounted rate. Regardless of your group size, we have a Myrtle Beach golf house rental that will meet your criteria – size, budget, need and want. We also offer properties located throughout the Grand Strand, so we can be sure to get you close to the courses that you have in your Myrtle Beach golf package. Myrtle Beach golf house rentals are a breeze. Ranging in size from 3 bedrooms to 10+ bedrooms – we can find you the right size for your golf group. If you are wanting certain amenities for your Myrtle Beach golf house rental, we will most likely have something that will work for your group. Pools, hot tubs and even game rooms are available in some of our Myrtle Beach golf house rentals. Oceanfront, off ocean, even channel homes are available to choose from. Of course, your budget is important as well. Because we work directly another division of our parent company, we have the ability to get you and your golf group the best possible accommodations at the best rate. Looking for selection, service and value? You’ve come to the right place. 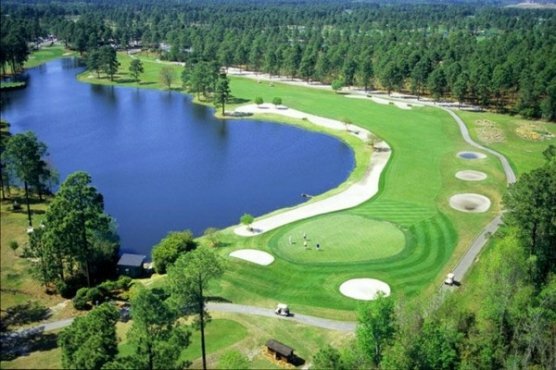 Call us today and get started working with our golf specialists to pick out your perfect Myrtle Beach golf house rental and courses for your Myrtle Beach golf package.